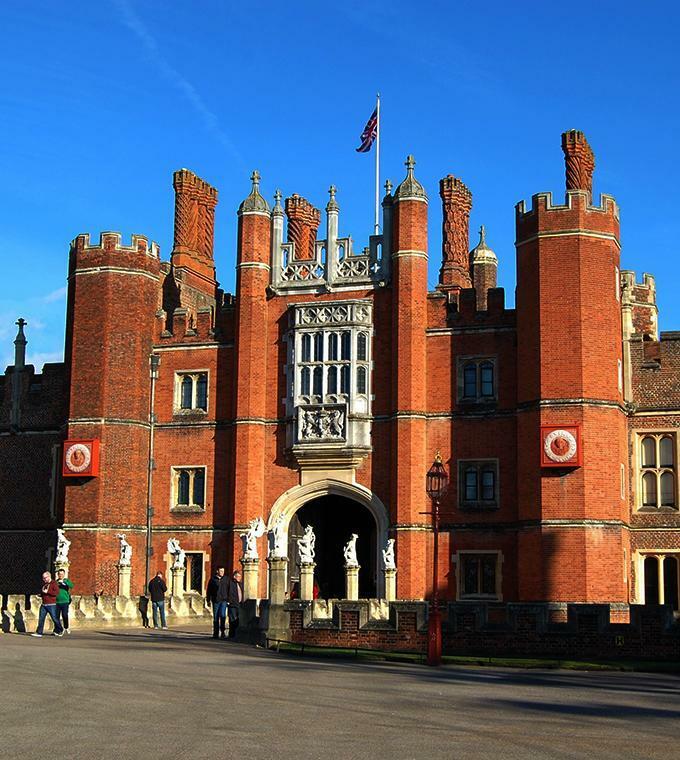 Hampton Court Palace is the oldest Tudor palace in England and takes you back through 500 years of royal history. The palace is one of the finest palaces of Europe which was owned by monarchs like Cardinal Wolsey, Henry VIII and Elizabeth I. Discover some of Hampton Court’s sights and stories, whether you plan to visit or just want to learn more about this enchanting palace and its history. Explore 'Palace People' for profiles, stories and little-known facts about some of England’s famous monarchs and interesting characters associated with Hampton Court Palace. Visit 'Palace Highlights' and discover why these are not to be missed at Hampton Court Palace: Henry VIII's Kitchens, Henry's crown, The Triumphs of Caesar, Privy Garden, The Chapel Royal, Hampton Court Palace gardens, the Great Vine, costumed guided tours, the Maze, and the Great Hall. Monday - Sunday 10 a.m. – 6 p.m.
Last entry into the maze at 5.15 p.m.
Monday – Sunday 10 a.m. – 4.30 p.m.
Last admission at 3.30 p.m.
Last entry into the maze at 3.45 p.m. Bus routes: 111, 216, 411, 461, R68, 267, 513.